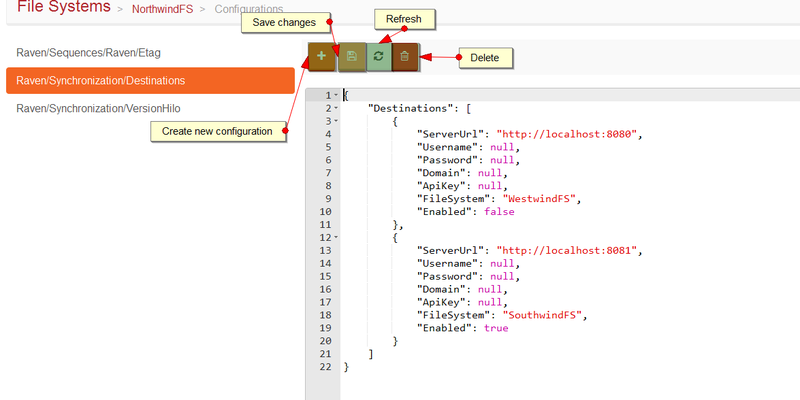 This tab is used to browse and manage configuration items - JSON formatted data items. They allow to store non binary information in RavenFS. Note that they are even used by RavenFS itself to handle internal things.